Georgi Tenev is a novelist, short story writer and playwright. 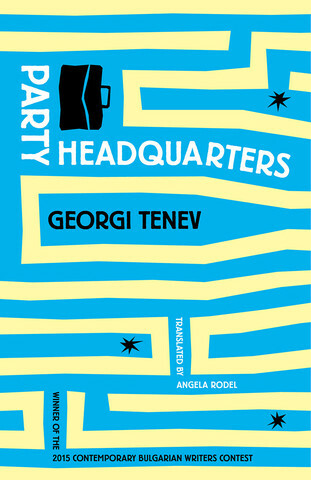 In 2016, his novel Party Headquarters  appeared in English by Open Letter Books, U.S., with the support of the Elizabeth Kostova Foundation. It originally came out in Bulgarian by Altera in 2006, won the VICK Novel of the Year Award (2007), and was published in Spanish by Baile del Sol in 2010. His latest novel, Bulgarian Roses, was published in Bulgarian by Colibri in 2016. It is described as a dark, mysteriously criminal, relentless novel that immerses readers in Bulgarian atmosphere since the beginning of the XXI century. Tenev’s novel Mr. M., first published by Altera in 2010, tells the story of Georgi Markov – a Bulgarian émigré-writer who was killed in London at the height of the Cold War. In his novel Christo, Castro and Free Love, which came out in Bulgarian from Altera in 2008, Tenev tries to dramatize the relation between the life of a journalist intellectual and the world of the big figures in art and politics. His debut novel, Vunderkind, appeared in Bulgarian by Triumvirat back in 2004. Tenev’s short story collection Holy Light , available in an English-language digital edition by Colibri (2016), addresses issues such as bio politics, racism, sexual difference and violence. In 2010, translator Angela Rodel won a PEN Translation Fund Grant to translate the book into English. Holy Light was also translated into Polish, and published by Scriptum in 2012. It originally appeared in Bulgarian by Altera in 2009. In 2014, Georgi Tenev became the first Bulgarian author ever who took part in the eleventh edition of the New Literature from Europe festival in New York City, an initiative made possible with the support of the Elizabeth Kostova Foundation.